You made it through your 30 days! Now what? The Reintroduction period is a very important part of the Whole30 program. Once you have eliminated non-compliant foods for 30 days, you will be able to tell exactly how they impact your body when you reintroduce them properly. To get the most out of your Whole30, this part of the program should not be skipped. Real Plans makes your Whole30 Reintroductions easy. Just go to Settings>Whole30 Reintroduction to set up your reintroduction schedule. A suggested schedule is preloaded for you based on Whole30 recommendations, but you can adjust the schedule to suit your needs. 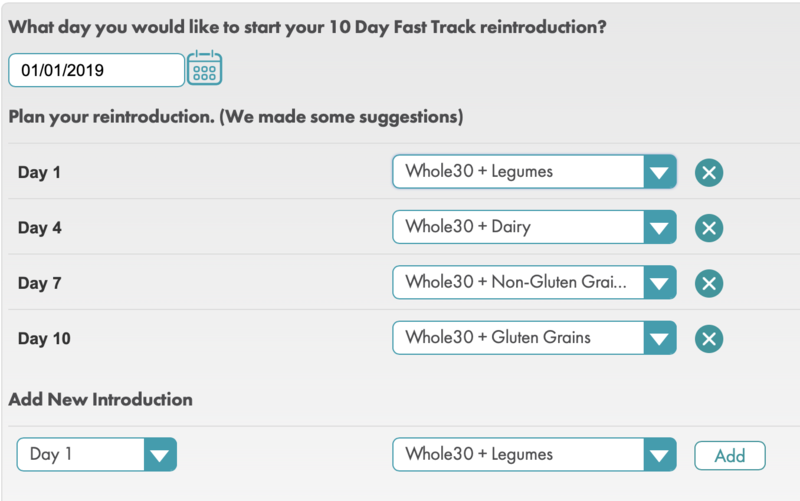 Real Plans will automatically add your reintroduction foods to your plan at the intervals you selected. It is suggested to eat your reintroduction food at each meal on the day it is being reintroduced to be sure you are getting enough to tell how it affects you, so you may need to adjust your schedule and Advanced Filters accordingly. Next, make sure your dietary exclusions are set to your preferences, making any necessary changes. Be sure to keep the preset Whole30 exclusions, and do not add the foods you plan to reintroduce to the included list. You will still need to be Whole30-compliant on the days between your reintroduction days. The Reintroduction schedule you set up will make sure you get the right foods on the right days. 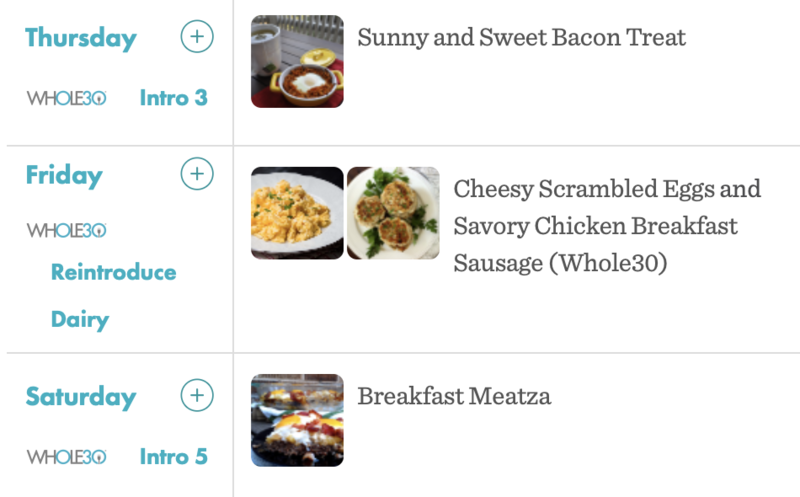 When finished, click on to see your new Meal Planner with your Whole30 reintroduction foods added on your Reintroduction days. If you see a reintroduction recipe on your Meal Planner that you want to replace, simply drag that recipe to the trash bin and schedule a new reintroduction recipe from the Recipe Box. Using Recipe Roulette will not work here because it will not pull the reintroduction foods since they are not compliant with your food exclusions. You will need to head to the Recipe Box and look for “Whole30 Re-Introduction” on the left side. Check the box next to the food that is being reintroduced that day to search for recipes. Once you have chosen the recipe you want to add, you can schedule it to appear in your Meal Planner straight from the Recipe Box by clicking on the calendar icon. Click here for more detailed instructions on scheduling recipes directly from the Recipe Box. If you are concerned about reintroducing foods and would prefer a gentler approach, you may be interested in the Slow Roll Reintroduction process. Click here to learn more. We are also available in chat to help you with your Whole30 meal-planning needs.